Pictures of Crabs, Shrimps, Lobsters and other crustaceans from around the world. 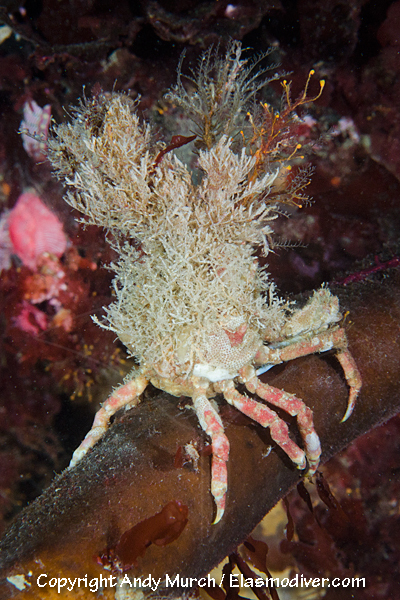 Crab pictures taken by marine life photographer Andy Murch. For further information on image licensing, please contact MarineLifePics.com quoting the image names and numbers that you are interested in, the intended usage, and the size of the print run if applicable. The crab pictures are organized alphabetically by common names and scientific names. If you cannot find what you are looking for please contact MarineLifePics as we may have the image archived. All of the pictures of crabs on MarineLifePics.com are internationally protected by copyright law. There is a fee associated with any usage regardless of the nature of the project. Many more crab pictures will soon be loaded onto this list. Please bookmark this page and return frequently.